With Facebook’s recent emphasis on the usage of their separate Facebook Messenger app, opinions have been somewhat split. Some are happy to utilize the new features available with the application, while others don’t understand why it’s necessary to have an additional messaging app from Facebook on their phone when there was nothing especially wrong with the way it worked previously. Facebook is still making upgrades to the app; the version of Facebook for Windows Phone recently acquired the integration of the Facebook Messenger application. However, for those who are fed up with Facebook messaging, there have been other recent leaps in social media messaging. Other major social media apps have also been making updates to their messaging systems. For instance, back in April, Vine introduced a feature that allowed users to send direct video messages to one another, likely to compete with the similar features available from Instagram Direct. Even Pinterest is finally getting in on the messaging train, as they added the ability to message and have discussions revolving around Pins last month. Even if you’re tired of all of the existing forms of social media messaging, there are still new social apps being launched all the time that offer messaging features. One of the most intriguing new messaging applications would have to be Fling. Fling differs greatly from the majority of social media messaging apps because it’s all about sending messages to other random Fling users. When you send a message, picture, or captioned picture with Fling, it makes its way to fifty other random users anywhere in the world, who you can privately message back and forth with if they decide to reply to your message. With all these different options, anyone tired of Facebook’s messaging system has plenty to fall back on. In a world where millions of people post every thought, photograph, or video to our social media profiles, we have effectively given up our privacy. And yet we still cling to the idea of privacy, even if that just means setting some sort of limit to the people who see all the things we’re posting for everyone else to see. Social media security has been a hot-button issue for this reason and over the course of the past couple of years, there have been a large number of breaches and hacks where social media users’ information has been compromised. I’ve talked before about hacks that affected Facebook, Twitter, and Snapchat, but these are not the only social media networks and apps that have had breaches in their security. Back in June, the simplistic social media app Yo was hacked by three college students, who were able to get the phone numbers and contacts of every Yo user as well as being able to send them false messages that appeared to be from other users. Considering Yo was developed in merely eight hours, it wasn’t a huge surprise that there were security issues, but what’s disturbing is how quickly users latched on to the new hot social media app without considering that their personal information might be at stake. The social network Secret was marketed as the ‘anonymous social network’ but hackers last month were able to find an easy way to make it a lot less anonymous. Though Yo and Secret have issued fixes to these security breaches, as have the larger, more popular social networks, it would not be crazy to say that our faith in social network security is waning. 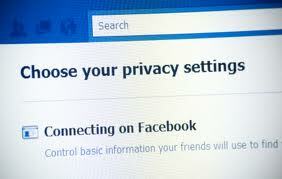 Facebook is making efforts to change things; they acquired a cybersecurity start-up company called PrivateCore last month in an effort to help protect the data of Facebook users. However, with the state of social media privacy and security still unsure, there are other things people and social networks are turning to (including Facebook). Ephemerality is the nature of apps like Snapchat, Bolt, Slingshot, and plenty of similar social media applications. The idea here is to ensure some manner of privacy by making messages, photos, and videos only appear temporarily before being deleted forever. Recently, Facebook began testing their own new ephemeral feature, which will allow users to use a ‘Choose Expiration’ function. 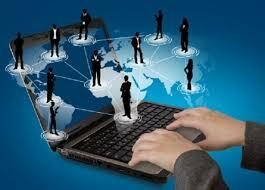 This feature will give posts a life expectancy from anywhere between an hour and a week. Thus far, this feature has only been available to a small set of users operating Facebook for iOS and it is unclear what the future of the feature may be. It was only about a month ago that Instagram launched their recent project, Bolt, a competitor to Snapchat, available exclusively to New Zealand, Singapore, and South Africa. Their newest project, however, has been far more widespread: the app is called Hyperlapse and it allows users to create time lapse videos. Historically, the creation of proper time lapse videos has often required expensive photography equipment, which is something that Hyperlapse aims to move past (not unlike the filters available on Instagram). 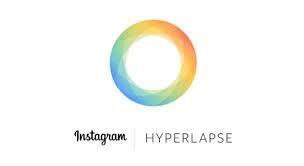 An Instagram account is not required to use the separate Hyperlapse app, which launched for iOS devices on August 26. Users simply need to tap once to start recording and once again to stop and then are able to alter the playback speed as well as a number of other options. 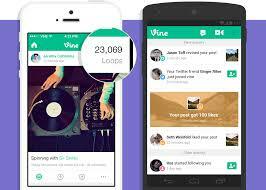 Once the videos are created, they can be easily shared via other social media sites such as Facebook and Instagram. Though ultimately the functionality of the application may seem simple, Hyperlapse is using a lot of powerful technology that allow users to shoot steady, professional-looking videos from their mobile devices. Some social media blogs believe that Hyperlapse was launched as its own separate application so that it would not merely be buried as an Instagram feature, and people could fully get a chance to harness the powerful technology behind it. On top of this, Hyperlapse’s focus is more as a video creation app rather than a social network, although it is quite easy to share the videos via social networks once they are completed. Due to technological limitations, there are not yet plans to bring the app to Android devices.